It is our pleasure to extend a warm welcome to all delegates to participate in 2019 IEEE 2nd International Conference on Electronics Technology (ICET) which be held in Chengdu, China, during May 10th-13th, 2019.The conference is organized by the Sichuan Institute of Electronics, sponsored by IEEE, also with the support of the University of Electronic Science and Technology of China, the Sichuan University of China, the Southwest Jiaotong University of China and the Singapore Institute of Electronics. The primary aim of ICET conference is to offer senior and young scientists from academic communities and electronic industries from around the world the opportunity to meet with colleagues to exchange research ideas and share new knowledge, development and experiences on topics related to their experimental and theoretical work in the very wide-spread field of electronics and micro/nanoelectronics technology and electronic packaging in a convenient and multicultural atmosphere. The other key aim of ICET is to provide postgraduate students with the opportunity to present their research findings in front of experts from both academia and industry for scholarly feedback. It also provides university academics and industry the opportunity to interact with the technical community, to share experiences and gain the benefit from the latest developments in technology presented at the conference. We sincerely hope that ICET will provide a platform for all delegates to have rich, useful, and effective deliberations that can lead to international cooperation. You are invited to participate in this great event for sharing ideas, friendship and culture in the long history and hospitality city-Chengdu. Good News!! 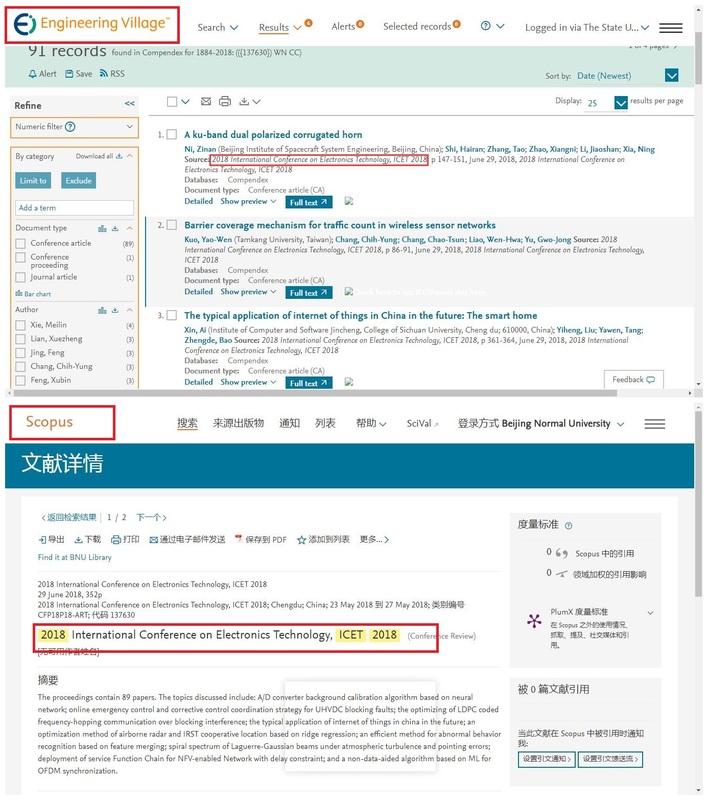 ICET 2018 proceedings included in IEEE Xplore (check), indexed by EI Compendex & Scopus (check) within Two months after online. All the accepted regular full papers will be included in ICET Conference Proceedings. Additionally, regular papers presented at the conference will be also submitted to Digital Library, and then indexed by EI Compendex & SCOPUS, etc.